They've been the victim to some bad press over the years. And they are so cheap and readily available in most food stores. What is the nutritional content of an egg? I am not going to tell you the nutritional quality of just one egg, because they are all different sizes so they are all slightly different. Eggs are a really good source of protein. They are classed as a complete protein because they contain all 9 of the essential amino acids. This makes eggs really good for people who are in sports training because their is evidence that the essential amino acids can stimulate the protein synthesis of the skeletal muscle (basically how the muscle mass reacts, grows and repairs after exercise). What do eggs do to your cholesterol? For years eggs have been demonised because they have a high level of HDL cholesterol (Bad). But they also contain a level of LDL Cholesterol (Good) which can help to bring down the levels of the bad Cholesterol. However, we now know that it is high levels of saturated fat that causes cholesterol levels to rise and eggs are low in saturated fat. Therefore, it is safe to consume eggs, even if you are trying to watch your cholesterol levels. Should I eat both the White and the Yellow part of the egg? Both! The white part of the egg contains a good source of lean protein. But in the yellow part of the egg, it contains the cholesterol and a lot of omega 3, which is so beneficial for the body. So I would aim to eat both parts of the egg to make sure you are getting a good mixture of nutrients. And besides, scrambled egg whites just look like mush and not very appealing at all! 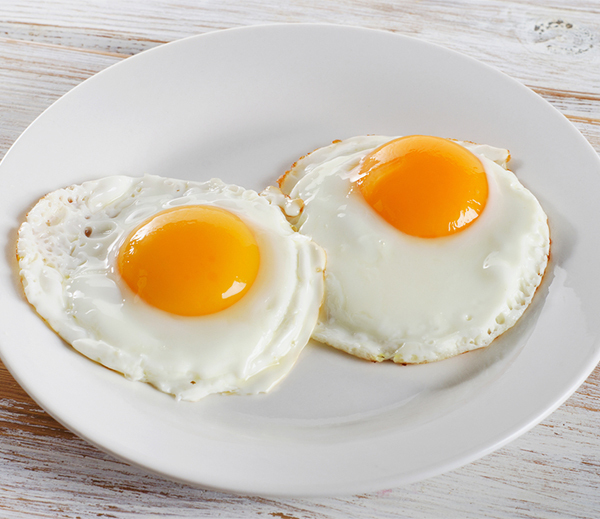 Can you lose weight by eating eggs? There is recent evidence to suggest that when you eat eggs, it helps the Satiety levels (Your fullness levels) of your body, keeping you fuller for longer, which in turn helps with weight management and gives you a better diet quality. A study found that consumers that regularly have eggs and a low red and processed meat diet ate healthier diets and their micronutrient intake was improved. That being said, eggs should be there to be enjoyed, not to be used as a 'weight loss food.